Engineering and IT is everywhere, from large scale industrial products to the smart devices we can no longer imagine our lives without. 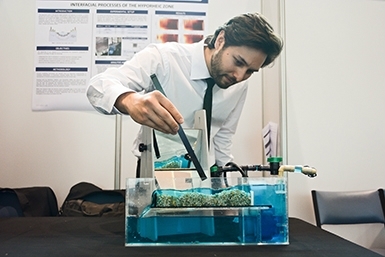 The Endeavour Engineering & IT Exhibition is hosted annually at the University of Melbourne to showcase the engineering and IT technology of tomorrow, as designed by final year students. The Exhibition provides the opportunity to experience the working environment of student engineers. A combination of talent, skill and passion makes this event a truly unique one. This event is part of Melbourne Knowledge Week, 19 – 25 October 2015, proudly presented by the City of Melbourne. If you are wondering what project will be on display on this day, please have a look at the project descriptions provided by capstone students!